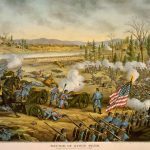 The concept of inducting newly promoted noncommissioned officers into the corps has a long-standing tradition, however is not an officially recognized or sanctioned activity. There are no official requirements to perform a ceremony of any type, other than a reference to induction ceremonies in Training Circular 22-6 (Nov 90), page 12. 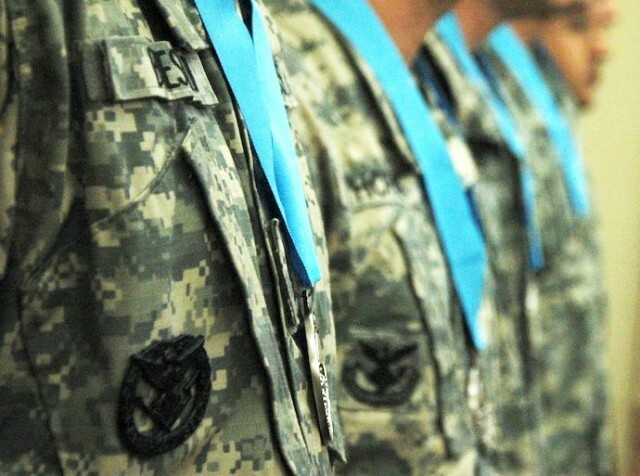 For many years senior noncommissioned officers have upheld the induction ceremony tradition, yet there are no official documents that capture what it should consist of or how it is to be conducted. Ideas have been shared and passed on from one senior sergeant to another. This document has been prepared in response to the many requests asked of the webmaster of the NCO Website (http://www.squad-leader.com), specifically for guidelines in conducting these time-honored ceremonies. This document in no way reflects Army doctrine or guidance, and should be tailored to each unit, built upon, and shared amongst us. It was developed to help fill a void, and capture and standardize a tradition. My only hope is that it is of value to my fellow noncommissioned officers. The importance of crossing over from an enlisted soldier to a noncommissioned officer is a milestone in an enlisted soldier’s career and should not be taken lightly. It is the responsibility of senior NCOs to ensure we continue this tradition for many years to come. 1 Dec 88 Then FORSCOM Command Sergeant Major, CSM Horvath addressed SMC Class 32, describing the FORSCOM NCO Induction Ceremony. It was based on his observation of a German Army NCO Induction Ceremony. He suggested that others should adopt a similar program. 27 Apr 89 Sergeants Major Academy conducts their first NCO Induction Ceremony. SGT Lotts, who was the daughter of a SMC Class 33 student. Apr 89 USASMA Student Operations and PAO develop a script and film, which was approved by the Commandant. 15 Sep 89 Included lighting three candles to emphasize the three parts of the NCO Creed. 18 Sep 89 Briefed DCSOP and SMA at the Pentagon on Ceremony. SMA was unaware of film or ceremony. He was unimpressed, and believed a ceremony was unnecessary. 1 Oct 89 Briefed then TRADOC CSM Goodwin. Made recommendation to shorten film and include unit officers. Briefed CoS, GEN Vuono and others. CoS supported the film, yet others objected to the secrecy, and felt that the use of three candles was ritualistic. 6-25 Oct 89 Revised video, removing candle portion and still emphasized the NCO Creed. 5 Dec 89 Briefed General Officer Steering Committee. GEN Vuono requested input from those present and AMC CSM Gillis objected to ammo pouch on the uniforms (upside down). CoS requested re-shoot of video. 23 Feb 90 Remade video. Awaiting final approval. 2 Oct 98 Daniel Elder releases original written NCO Induction Ceremony. Modified 18 May 2011. 23 Dec 02 The newly updated Army Noncommissioned Officer Guide FM 7-22.7 included Elder’s Induction Ceremony as Appendix F, pages F1-F4. Removed from the yet unofficial Aug 2014 edition. The induction ceremony is a celebration of the newly promoted joining the ranks of a professional noncommissioned officer corps, and emphasizes and builds on the pride we all share as members of such an elite corps. The ceremony should also serve to honor the memory of those men and women of the NCO Corps who have served with pride and distinction. Induction ceremonies should in no way be used as an opportunity for hazing, but more as a rite of passage. 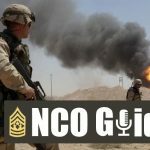 It allows fellow NCOs of a unit to build and develop a cohesive bond, support team development, and serve as a legacy for future NCO Induction Ceremonies. The importance of recognizing the transition from “just one of the guys or gals” to a noncommissioned officer should be shared among the superiors, peers, and subordinates of the newly promoted. This action allows the commander, the ultimate approving authority for the promotion of enlisted soldiers within their charge, to serve their role in the process. The induction ceremony should be held separate, and to serve as an extension of the promotion ceremony. Typical Army promotion effective dates occur on the first day of a month, and when possible, so should the induction ceremony. The NCO Induction Ceremony is typically conducted at the Battalion (or equivalent) level. Though it can be held at higher or lower levels, this document will focus on the principles for executing a Battalion NCO Induction Ceremony. By changing the titles of key NCO leaders to meet your own need, you can tailor this document to your own organization. As part of the sergeantization process for new noncommissioned officers, the Induction Ceremony should be scheduled as a training event on the training calendar. The formal portion should take place during the duty day, prior to retreat. By making it a training event during duty hours, you not only get maximum participation, but command support (Commanders approve training schedules). The optimum time is 1630 to 1700 for the formal portion (the ceremony), and 1700-1730 for the informal portion (greetings, congratulations and socializing). As the senior NCO of the command, the Battalion Command Sergeant Major serves as the host of the NCO Induction Ceremony. The unit First Sergeants are the CSM’s assistants, and they compose the “Official Party.” If desired, a guest speaker for the ceremony may be included, and also is a part of the official party. A narrator will serve as the Master of Ceremonies. As a wholly noncommissioned officer sponsored event, guests and VIPs should be limited to current and former U.S. Army NCOs. Certain situations may warrant an officer or civilian to attend, and will not detract from the nature of the occasion. 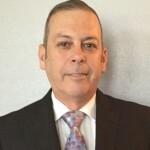 Typical invited guests could include higher echelon Command Sergeants Major (Brigade, Division, Regimental, Commandant), Installation or Base Support Battalion (BSB) Command Sergeants Major, or even lateral (Battalion level) Command Sergeants Major. Additionally, special guests serving as motivational speakers should be included (though not required) as part of an induction ceremony. 1. A passage of a citation for bravery or valor in the face of difficulty demonstrated by a noncommissioned officer. 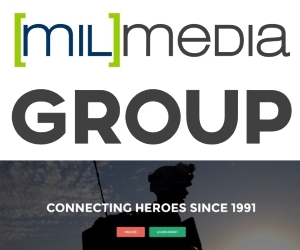 With access to the World Wide Web and Internet, citations are easily accessed and printed from such sites as www.army.mil, www.awod.com/gallery/probono/cmhs or various books. 2. Copies of the NCO Creed. 1-per inductee. Available through many sources. 3. U.S. Army Training Circular 22-6, The Army Noncommissioned Officer Guide, dated November 1990. 1-per inductee. This book was dedicated to the future NCOs who will carry the torch passed on to them. Available from normal publication channels. 4. Sound system (optional). Requirement based only on the number present, and the “command voice” of the participants. This document and the proposed ceremony is a “living” process, which means it was developed to grow and mature with the different users. The intent is to give a common basis from which to begin, and then tailor it to suit your specific needs. Though the ceremony is not “THE” correct ceremony, rather, it is “A” ceremony, one based on the intent of presenting a professional NCO Induction Ceremony. It is made available in document format on the World Wide Web, free for the good of the Corps. Feel free to download it, edit it, and use it for your own needs. Share your ideas with others, and the author encourages feedback to make the product better. PLACES: Official party – Waiting outside the ceremony room. Narrator – At the sound system/podium. Inductees – Formed in advance at an appropriate location. Each should have a copy (or portion) of the NCO Creed. NARRATOR: Ladies and Gentlemen, the ceremony will begin in two minutes. NARRATOR: Welcome to (this months) (month name) NCO Induction Ceremony where we recognize the passing of the group before you (the inductees) into the ranks of the time-honored United States Army Noncommissioned Officer Corps. Today’s official party consists of (names). Today, we continue that tradition. (Name), our (guest speaker)(CSM) now will share his/her instructions with our newest Sergeants and Corporals. 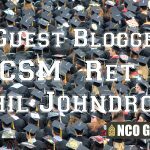 NARRATOR: The Creed of the Noncommissioned Officer has served as a guiding document for noncommissioned officers since its inception in 1973, though its concepts have been always been a part of our Corps. Each major paragraph begins with three letters: N, C, and O. These words have inspired noncommissioned officers, and have served as a compass to guide us down the right paths that we encounter. Today, our newest noncommissioned officers will affirm their commitment to the professionalism of our corps, and become a part of the “Backbone” of the Army. Option 1 Inductees all simultaneously read the NCO Creed. 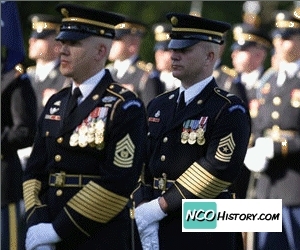 Option 2 Divide the NCO Creed into equal parts, based on the number of inductees. Have each inductee read their portion, in sequence. Option 3 Have all present read the NCO Creed together (note. provide copies in advance to all present). CSM/HOST: Moves to each inductee, issues them a copy of TC 22-6, The Army Noncommissioned Officer Guide, then shakes their hand and congratulates them. NARRATOR: As we conclude today’s ceremony we ask you to greet our newest inductees, and join us in welcoming them to the Corps. Please rise for the exit of the official party. OFFICIAL PARTY: Departs. Ceremony ends. Informal portion begins (socializing).